It’s been a while, but we’re back with another round-up of what everyone has been making with Fabric-a-brac finds! Ready to get inspired? Here we go…. 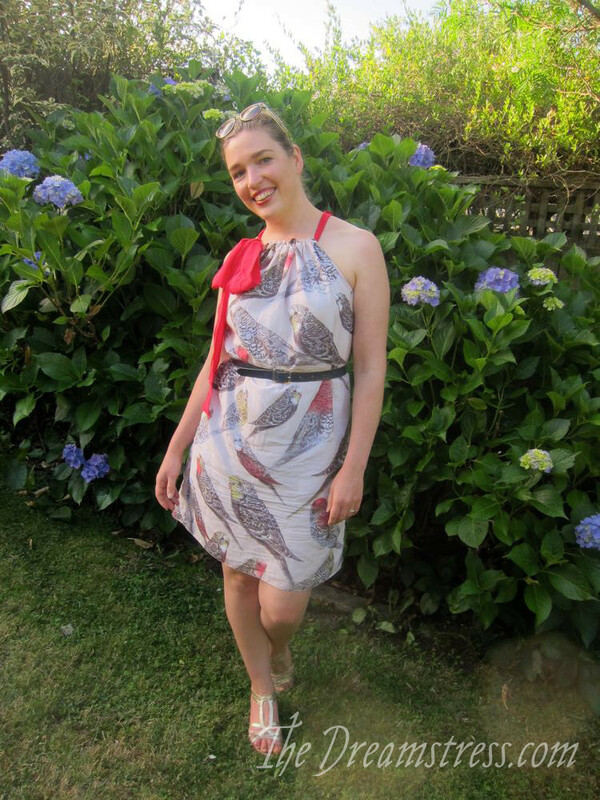 First up – the Dreamstress made a beautiful dress using feather printed fabric from Fabric-a-brac in Palmerston North. 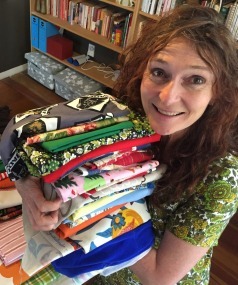 No, you’re not seeing things – Crazy Gypsy Chronicles bought the same feather printed fabric, also from the Palmerston North Fabric-a-brac, and made a Belcarra top in it! Isn’t this a gorgeous dress? Made by The Curious Kiwi, using a silk twill from the Wellington Fabric-a-brac event. A dress with mushrooms on it! How fun is that?! Made using Wellington Fabric-a-brac fabric, by Ruby Dust. 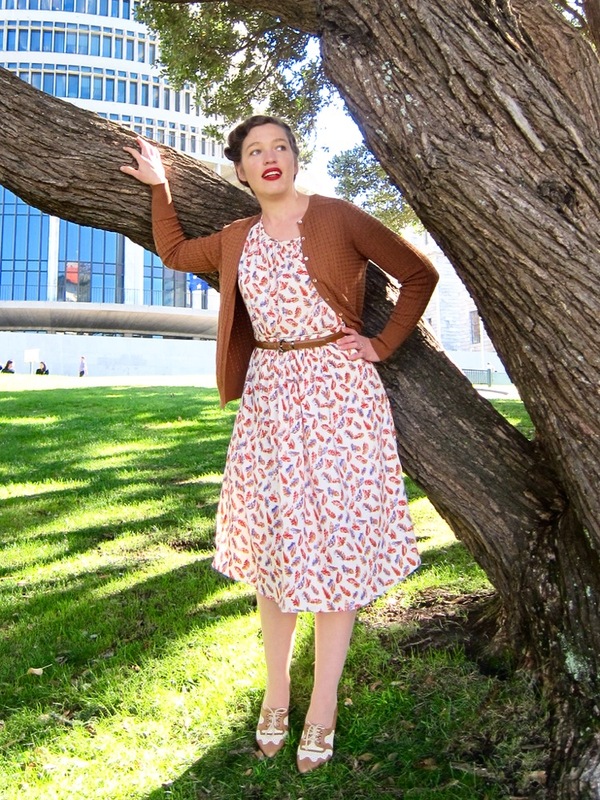 This one is keeping things in New Zealand – a dress made by Modern Vintage Cupcakes, using fabric from Fabric-a-brac Wellington, and a pattern by a Dunedin designer. Perfect for summer (if the warm weather comes back?!?) is this pretty sundress made by Nikkis Stitches, using Fabric-a-brac fabric. And to round out todays creations round-up, here’s another bird themed dress – parakeet fabric from Wellington Fabric-a-brac! Made into a lovely sundress by The Dreamstress. So there we have it – lots of great creations made using Fabric-a-brac finds!